Buying a new gas furnace is one of the bigger decisions you will make as a home-owner, and it’s important to choose the right furnace for both your home and your family. For every new furnace we sell, a uniformed Boyle Heating & Cooling expert will first come to your home and do a needs assessment before providing you with a free no obligation written estimate. In many cases there is more than one option, depending on budget, future plans for the space, existing layout or ductwork, and of course the size and age of your home. 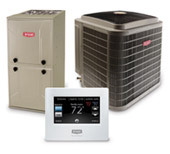 We sell only the top furnace brands, specializing in Bryant a trusted name in the HVAC community for decades and Payne, a top furnace brand that represents quality and value. 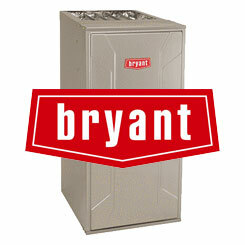 Offering both Bryant furnaces and Payne furnaces offer the best value and choice to our customers. The cost of installing a new furnace can vary greatly and depends in large part on the needs of the homeowner, as well as the home itself. You can contact Boyle Heating & Cooling to get an estimate on a new furnace and as a certified dealer with both Bryant and Payne, you are eligible for all applicable rebates and warranties, provided the installation is also done by the team at Boyle. My husband and I would like to recognize the team that installed our new gas furnace on Oct. 11 at 844 Frank Hill Rd. They were there at the crack of day and worked until late evening. They were professional, and go, go, go the entire day. Coming from the service industry ourselves we know that complaints are so easy to come by and compliments rare. We were impressed with the organization of the different crews, and the long day that had to be put in (that did not end with just our call)-especially the Friday of a long weekend. Job well done, very much appreciated.